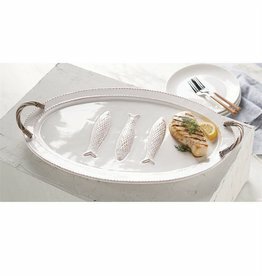 Oval platter with three white fish and willow handles. 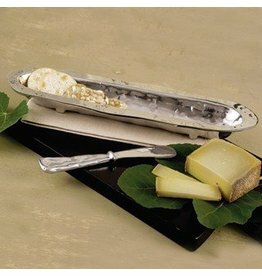 The FOREST Corteza metal spreader features a twig-like handle that adds a bit of whimsy to this handy spreader. 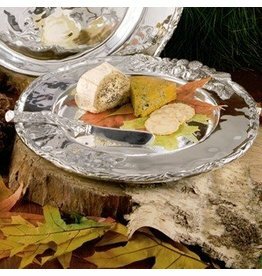 Pairs perfectly with any FOREST tray. 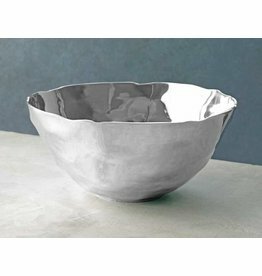 A three-dimensional work of art, the VENTO Alba large bowl centerpiece commands center stage on your table. 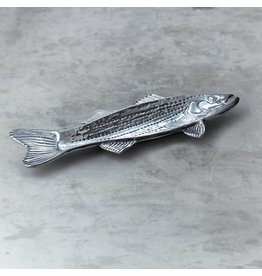 NET THE OCEAN STRIPED BASS PLATTER FOR A GREAT, VERSATILE SERVING PIECE. 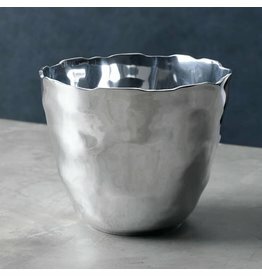 IMPRESSIVE ON THE DINING TABLE WHEN ENTERTAINING, BUT ALSO AT HOME ON THE COFFEE TABLE AS A DECORATIVE ACCENT. 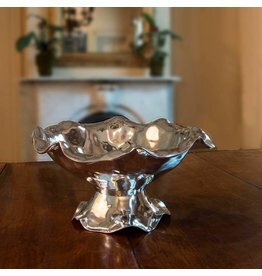 SHIMMERING SCULPTURAL FORM; AMPLE AND PRACTICAL SERVING PIECE. 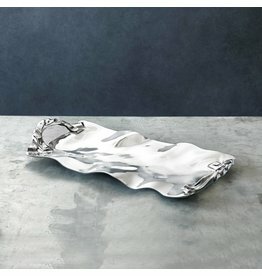 THE VENTO SASHA LARGE DECORATIVE SILVER TRAY FEATURES ARTFULLY CRAFTED HANDLES OF TWISTED RIBBONS OF METAL. 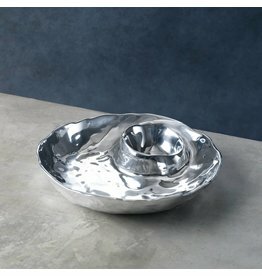 FASHIONED AFTER A SEA SHELL, THE SOHO SPIRAL DIP BOWL IS SAND BLASTED ART AT ITS FINEST. 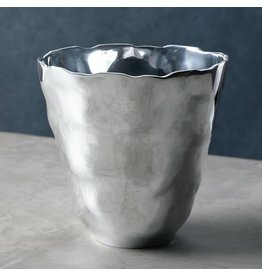 WITH ITS TEXTURED METAL SWIRLING AROUND THE INDENT FOR DIPPING, IT MAKES AN ARTISTICALLY STYLISH DISPLAY. 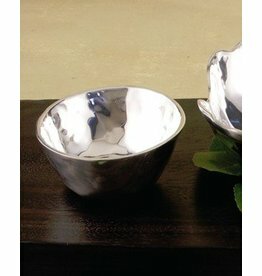 10 inch stainless steel spoon with cast metal handles in 5 designs. 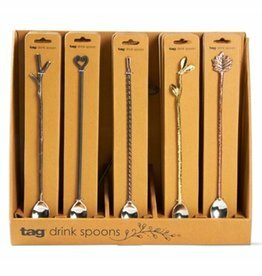 Spoons attached peggable kraft backer card. 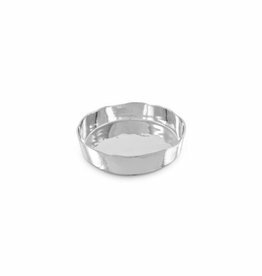 Use the SOHO mini decorative bowl in groups and with any of our platters to serve a multitude of purposes. 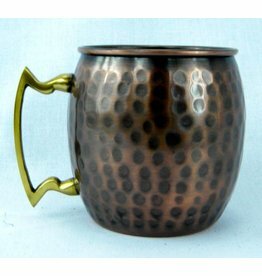 Nickel Lined Chilled Moscow Mule Mug! Bake In Me Chill In Me & Serve In Me! Never Polish Me!